This is one of the simplest and most straightforward explanations of chakras I have seen. After one initial negative experience with Kundalini Yoga, which attempts to get energy moving in/around each chakra, I swore Kundalini yoga off – But then, I got to try it again. My yoga teacher here in Indiana sometimes integrates Kundalini in her classes – and it’s been a very different and empowering experience. She starts with kryias for the base chakra and moves up. I actually liked that a lot. 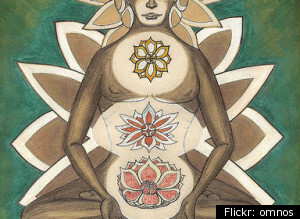 Have you ever tried Kundalini yoga? What has your experience been?